This installment of the Vintage Ad series features five time NBA all star Marques Johnson in an original ad for the adidas Top Ten. One of the most iconic adidas basketball shoes ever is back on the shelves tomorrow. The Top Ten, originally from 1979, returns for the first time in years, this time reworked by adidas Originals with a true-to-original shape and feel. Designed as a premium on-court performer for the Three Stripes' ten best players of the time, the Top Ten was just as important on the hardwood as it was off, where it became an icon of street style—for those that could afford its higher price tag. 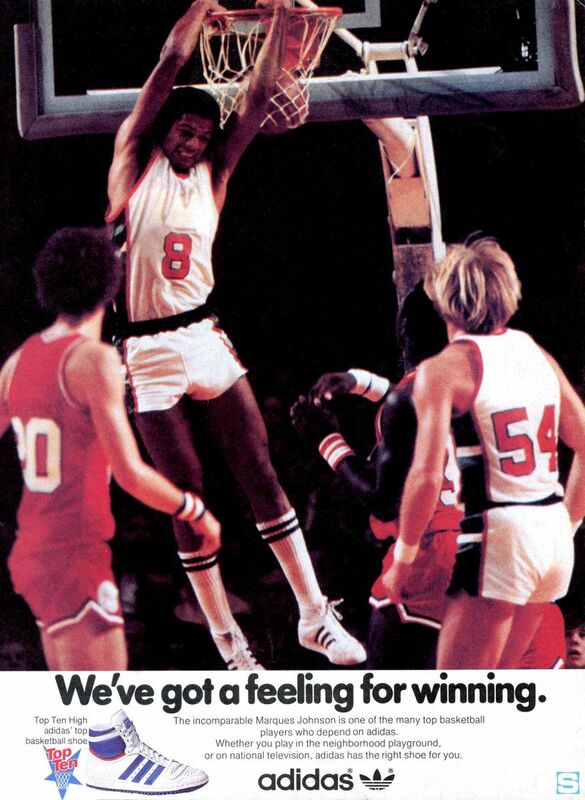 To celebrate the return of the Top Ten, I just so happened to have this original ad from 1980 in my archives, featuring one of the members of the adidas top ten, five-time NBA All Star Marques Johnson. Peep the OG below, and then go pick up the closest thing you'll ever get to an OG pair tomorrow when adidas Originals drops them at select retailers worldwide.